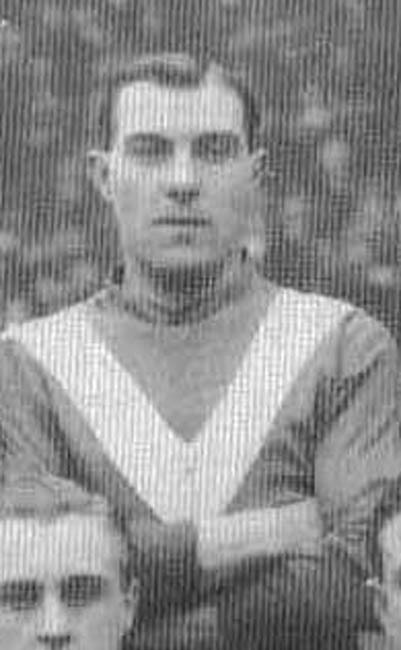 Charlie Copeland will forever be associated with the part he played in demise of Leeds City, but he did give the club good loyal service for many years in peace-time and war-time both as first choice or as a reliable back up in the right back position, but would also fill in any defensive position as required. He started his career in his native Tees-side with the famous South Bank Football Club in August 1912. He soon emerged at Right Back after George Law was moved into the Right Half position and he held that position for most of the next two seasons until Fred Blackman was bought. He bided his time until given the chance to replace Jock McQuillan at left-back almost a year later and held the position until the outbreak of WW1. He regained his Right-Back spot for the first season of the War-time games but volunteered for duty and did not play for City until the final War-time season when he played a couple of games. His involvement in the reporting of City for irregular payments to players during the War resulted in him being given a free transfer to Second Division Coventry City in September 1919. He stayed at Highfield Road for one season, making thirty-two League appearances before joining Third Division Merthyr Town. He played eight games for the Welsh club before retiring.